Business? Fashion? Vintage? Sport? Travel? Restaurant? Agency? One page? Multi Page? or anything else? It doesn’t matter which website you want to create with this theme! Robust control panel and sleek design gives you an incredible flexibility to build any fabulous website with Scooter! 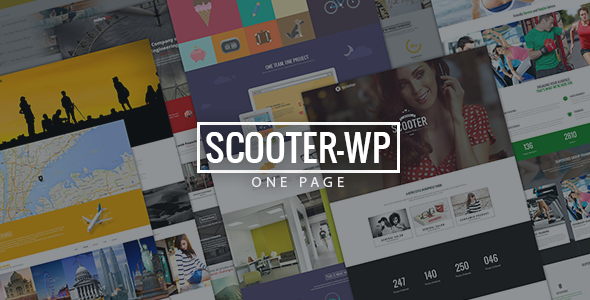 Awesome and creative blog, sleek portfolio thumbnail slider and custom intro section with it’s beautiful text rotator are just a few celebrities in Scooter party! Join us and be ready to get impressed with pack of incredible features.